Look like Tarzan, play like Jane! Vernon Gholston: say this name when he was at Ohio State and he strikes fear into offensive linemen. Say this name during his time with the New York Jets and he doesn’t even strike fear in the practice dummies. Gholston is yet another NFL bust that not many saw coming. He played at a college with an NFL pedigree under a coach he put countless first rounders in the draft, put up monster numbers his senior year, and had the potential to go with it all. I mean, he did end up being drafted 6th overall in 2008. He was eased along with the Jets or at least you thought until you realized that he was amounting to nothing and rarely seeing the field. There’s no denying that he’s a physical freak; he’s almost all muscle all while running a 4.58 40 yard dash with the ability to bench press 225 pounds 37 times; he just hasn’t found a way to put everything together (or kind of together at this point). He’s the epitome of the phrase “look like Tarzan, play like Jane”. Maybe he’s just a late bloomer like Jason Babin was, but until then I doubt it. Let’s put it this way: if Rex Ryan can’t get him to perform I can’t see any other coach doing so either. We skipped/were too lazy to do a June Has Been Of The Month so I have anointed Jason Giambi the honor. He was a complete badass during Oakland winning the AL MVP honors as well as helping Oakland into the post-season. It wasn’t long before he signed a massive contract with the Yankees (go figure). However, he was busted for steroids in 2003 and has seen a stead decline in his numbers ever since. My buddy Ryan sent me a link showing some of the funniest sports signs and I thought I’d share a few. 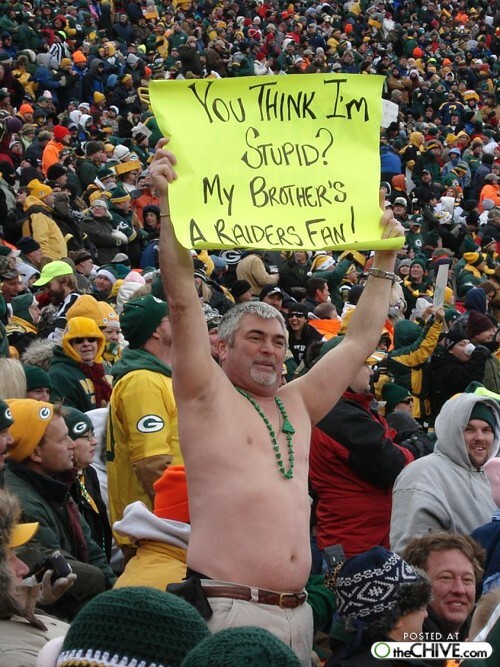 Check out more at The Chive’s 20 Greatest Funny Sports Signs. Photos courtesy of The Chive. Pujols out 4-6 weeks with fractured forearm…now what? Can the Cardinals stay afloat now that All-World first baseman Albert Pujols looks to be out for at least a month? If you’re a Cardinals fan, this is the devastating news you did not want to hear. Albert Pujols has been diagnosed with a small fracture in his left forearm and is scheduled to miss 4-6 weeks because of it. The injury happened yesterday after an errant throw from 2nd baseman Pete Kozma forced Pujols to come off the bag. Wilson Betemit, who had hit the chopper up the middle, ran into Pujols resulting in the aforementioned injury. The Redbirds, who sit at 40-33 and are tied for 1st place in the NL Central with the Brewers, have got to be wondering how they are going to ride the ship for the next month or so without their best player. My take is that since David Freese is scheduled to come off of the DL next Tuesday against Baltimore, they can now shift Lance Berkman from right field to first base and have Jon Jay as an everyday-er until Albert gets back. The Cardinals ended up winning the game yesterday against the Royals after Pujols left (up to that point, Pujols had gone 3-3 with his 17th HR of the year), 5-4, and have now won 2 in a row after dropping 7 straight for the first time since 2008. But are they going to be able to keep up in the Central now that the best hitter in their lineup, or anybody’s lineup for that matter, is no longer present? 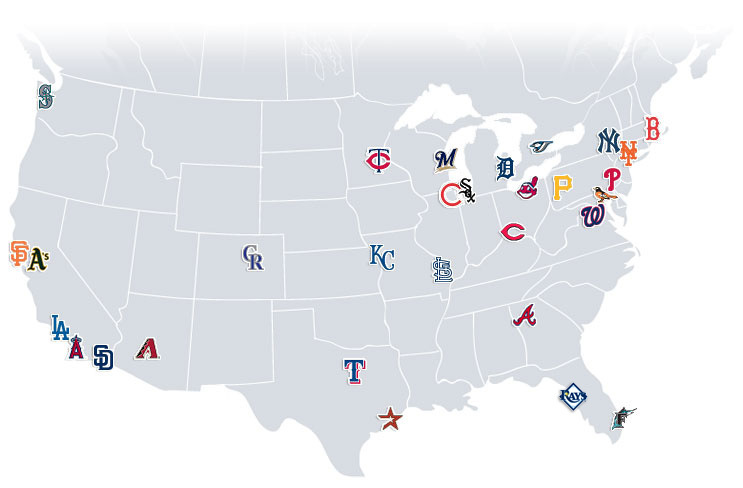 Luckily for them, unless the Cards go all Florida Marlins over the next 30 days, I do not foresee them having enough time to give up a lot of ground to the Brewers (or even the Reds) in the division. I still expect St. Louis to be sitting pretty for the second half of the season. No single failure: No team is a sacrificial lamb to the Powers That Be in the current AL/NL East. If they want to have a bidding war over 1 Free Agent, let them. 14/16: keeping the even numbers in both divisions removes the need for a constant Interleague series. Balance: Look at each of the new divisions… now try and predict which team will win each of the next 10 division titles. Pretty tricky huh? Red Sox/Phillies/Yanks: 54 times a year? How can ESPN not like that?! Traditional rivalries are broken up, but that might make them more important/exciting. Still 1 division that has 6 teams. Designated hitter – Should it stay or go? Whether or not you think I’m a genius or idiot, the fact that the MLB is seriously broken is undeniable. The ability for a small market, small salary team to win on a consistent basis is next to impossible. Until that major problem (along with the salary cap) is fixed, the team(s) with the most money will be the most consistent contender in the World Series for years to come. Week 2 was finished; the Red Sox sat at 2-7. To some, the post season looked like a figment of the imagination – 2 months later, after posting a 32-19 record they lead the Yankees by 2 games (depending on today’s play), the Red Sox are back in old-but-new form. The Sox lead the Majors in Runs Scored (336), 2nd in Batting Average (.274) OBP (.347) and Slugging (.443) and 2nd only to the Yankees in Run Differential (-6). 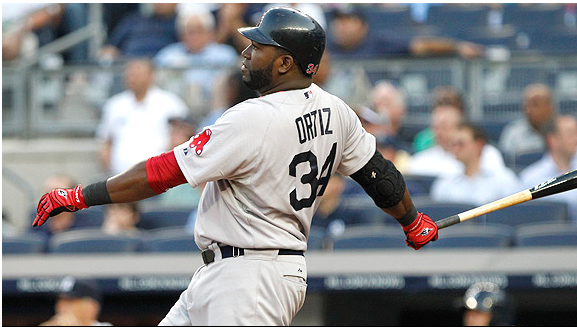 David Ortiz is back to his old ways. Current AL Ranks: 4th in BA, 5th in HR, 2nd in OPS and 2nd in SLG%. Carl Crawford is cementing himself in the Sox lineup, after hitting .155 in April, he is hitting .308 since May 1st. Adrian Gonzalez… well, do I even have to go there? In May alone he hit 9 HR, had 31 RBIs and hit .341. Although A-Gonzo’s Walks and BB/K are down from the last 2 seasons, he is on pace for a career high in Extra Base Hits. So a couple of guys are having a good season…look at their line-up: 5 players have more than 5 HR/30 RBI, 6 players with SLG% of more then .400, 10 players with OBP of over .300. There is no denying that by simply looking at the line-up an opposing pitcher could have a bowel movement in his pants. From all the pre-season expectations to the humiliation of starting 2-10 to a current 9-game win streak, these Sox have seen it all. The question that will rise now is: Will they be able to keep going? Can they handle the pressure of the AL East? I think they can and will. I won’t get my hopes up but a 95-100 win season isn’t out of the question yet. WWBD: What Will Bubba Do? A constant decision high school athletes have to make when heading to college is which of the many sports they lettered in do they wish to participate in college? Will a school let them play football and run track or will they have to decide between two like football and basketball? Rarely however do athletes have the decision to make that Bubba Sterling does. Will he begin a career as a top 5 baseball player or will he go to Nebraska as a 4 star QB? As a football player he destroyed teams on the ground running for 2,471 yards, throwing for another 812 yards, and was responsible for 39 touchdowns. Taylor Martinez has proven that this type of athlete flourishes in Bo Pelini’s system. However, he’s also a 5-tool threat who has a cannon of an arm with the ability to hit for power and at a high average. It seems like he’s leaning towards football, but he’s better off going for baseball. Think about the worst case scenarios for both baseball and football. Worst case scenario in football is that he fails and has to fall back on baseball. Players like Pat White have proven that’s not as easy as it seems. Worst case scenario if he fails at baseball is he goes back to school for football much like James Casey, Chris Weinke, and Brandon Weeden all have. The ironic thing is players going from baseball back to football have had much better times. The Dallas Cowboys traded a 3rd rounder for the rights to Drew Henson after spending 5 years away from football. It also doesn’t hurt that players in the MLB can have much longer careers and make much more money since there is no salary cap in baseball. His style of football also tends to lend itself well to injuries. He can’t really go wrong either way, but his best bet is taking the money and running. What 18 year old would pass up $6 million after all and the chance to play professional sports in his home state? 1. Did Jim Tressel make the right decision of stepping down as head coach? Today, Jim Tressel officially resigned as head coach with the Buckeye nation continuing to draw heat for players receiving improper benefits during his tenure. It was earlier this week when former Ohio State receiver Ray Small told the school newspaper that he (and many of his teammates) sold Big Ten Championship rings and other school memorabilia for cash. Many players also received “special” deals on cars. Jim Tressel knew about this but failed to neither act nor inform NCAA officials. He later lied to the NCAA about his knowledge regarding this matter and that has brought him all sorts of heat. Tressel received an email that disclosed information about his players selling items for cash, but he decided to turn his head. I believe Tressel made the right decision. He had no choice but to step down. Lying to the NCAA is never excusable as a coach. We saw what happened to Bruce Pearl in Tennessee. I even think Tressel knew this was going on long before Pryor getting caught. Why would he lie to the NCAA if he wasn’t doing anything wrong? It’s good to see some setbacks in the Ohio State football program since Michigan sell off like no other. Perhaps Big Blue might win a game for a chance? As for Tressel, he has a very impressive football resume (106-22 in ten seasons at OSU) and should have no problems finding a job in the new future. Who will become the new Buckeye head coach to open the 2011 season? 2. Should baseball do more to protect its catchers? There have been talks and speculations that the MLB needs to think about protecting its catchers and base runners after witnessing Buster Posey’s season-ending injury. Posey ended up fracturing his tibia and tearing ligaments in his ankle in a collision at home plate with Florida’s Scott Cousins. Now the face of the Giants’ franchise is lost for the year. Changing the rules to protect the catchers? Are you serious? I think this whole idea is a complete JOKE. This injury is nothing more than a freak accident, yet people are looking into more than it should be. The NFL is about to become a flag-football league, so let’s not mess up the MLB too. IMO, none of this talk would have even stirred if it were anyone else instead of Buster Posey. Collisions at the plate are part of the game and shouldn’t be tampered with. Right? 3. Would you consider him ballsy or just a retard? Who am I talking about? The one and only; Jason Terry. Reports and images have surfaced of Terry’s newest tattoo that he had done back in Oct. Apparently, Terry guaranteed to win the NBA Finals before the season began and proceeded to even get a tattoo of the Larry O’Brien trophy on his right bicep. Don’t believe me? Check it out. Personally, I think Jason Terry is an idiot. He is nothing more than a poster boy for the Dallas Mavericks, symbolizing their underachievement. I hate all of his little childish, stupid antics on the court. The fact that he got a tattoo of the championship trophy before the season began doesn’t surprise me one bit. I really hope Dwayne Wade makes you his poster-child Jason Terry. 4. Is there a dynasty brewing in Barcelona? Barcelona became the kings of Europe for the second time in three years as they outclassed Manchester United to a 3-1 win. With already classified as the champs of Spain and Europe, can we consider this Barcelona squad one of the best clubs of all-time? After seeing Barca pick-apart my favorite team, I am convinced that Messi and Co. are one of the best starting XII’s to ever see the pitch. The fashion in which Barcelona plays is nearly impossible to beat. Barcelona’s midfield has been simply unstoppable for the past three seasons. Sir Alex Ferguson said it in the simplest of words, “In my time as a manager I would say yes, this is the best team I’ve faced.” This is coming from one of the bests, if not the best, soccer manager in the world. 5. Did Dan Wheldon win the Indy 500? Or did J.R. Hildebrand lose it? J.R. Hildebrand had the win in his sights, but he crashed on the final turn, making way for Dan Wheldon to steal the victory. I’ll admit I’m not a huge Indy/Nascar fan. Hell, I’m not a fan at all. But, with this being the 100th anniversary of the running of the first 500, all eyes were on Indianapolis Motor Speedway. With Hildebrand choking the race away, what do you think Wheldon’s response would be if one would ask if Hildebrand lost the race, instead of Wheldon winning it? I have a feeling this dude got lucky and he will never hear his name again. This could be the biggest choke-job in Indy history. Remarkable finish regardless.